This is just going to be a quick update on a project that I'm starting off with today. It has something to do with Purol, which is a Dutch brand that produces different skincare related products, such as lipbalm, vaseline, talcum powder and ointment. The latter is the one I'll be using for my little research project, and here's what I'm gonna do. I tend to complain about my extremely brittle nails quite regularly, because I just can't seem to be able to grow them out and it drives me crazy. Ever since I ruined my nails during highschool by biting them all the time, they've been shorter than ever. Although I'm very glad that after all those years I did manage to quit nail biting altogether, I would love them to redeem their strength so that one day they can reach past my fingertips again (yay for having a modest goal in life). So when my mom entered my room a few days ago and told me she'd found me a cure that actually worked, I got excited right away. She told me that she used to employ this method all the time back in the day, and that it had worked miracles for her. All she did was throw some Purol ointment (which was the only Purol product available back then) onto her nails twice a day. It made her nails very healthy looking and strong, which makes perfect sense when you give it some thought. Purol ointment - like every other ointment - was designed to help out with healing and protecting dry, sensitive skin and even small chaps and abrasions. As vaseline is the main moisturizing component in Purol, you could also try using just pure petroleum jelly. The most apparent difference between the two is the consistency. Vaseline has a way smoother texture, it spreads a bit easier and it is fragrance free, while Purol is much thicker, kind of syrupy almost, and it has a unique smell to it. 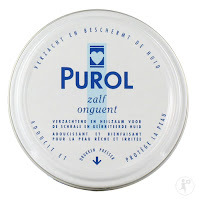 I personally prefer Purol, because it stays put better because of its sticky texture, and because I love the smell. Another thing I love is that it sinks into the skin super fast, way faster than I would expect from such a thick cream. It doesn't leave your fingers feeling greasy at all! Anyway, this was supposed to be a quick, short post, so let's get back to business. What I'm gonna do for the next few weeks, is apply a thin layer of Purol on the nails of my left hand twice a day. In the evening, I'll also apply it underneath my nails to make sure I don't miss a spot - after all, the tips of your nails need that extra moisture the most! In the meantime, I'll just be applying my regular handcream to both hands. This way I hope I'll be able to see a difference between left and right within a few weeks. So stay tuned for the outcome of this exciting experiment, which will be up - including some before/after and left/right pictures of course - as soon as I start seeing some substantial results (or if it's taking me ages to notice any difference at all :)! 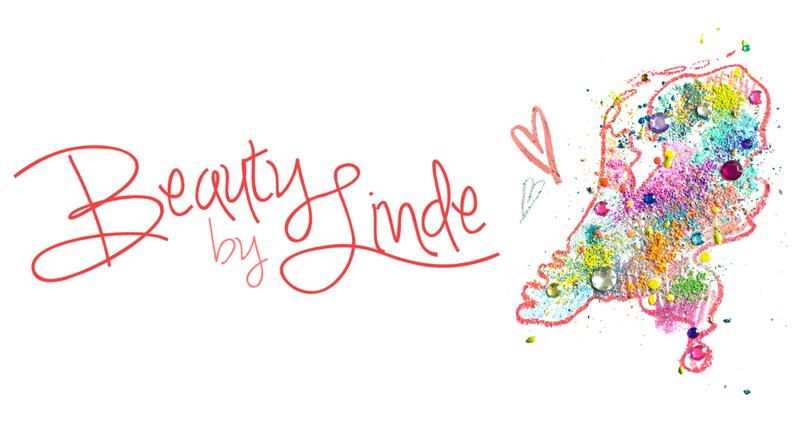 Thank you for taking some time out of your day to read this and I hope to see you in my next post!